Speaking to Android Police, a source familiar with the company's plans has revealed that Samsung will launch an enormous 17" Android tablet known as the Galaxy View 2. Three years ago, Samsung announced the Galaxy View (the device pictured above), an 18.4" tablet running Android 5.1. While it was absolutely ridiculous, there really was no other device like it on the market, and at a starting price of $600, it actually wasn't a horrible value. You essentially got what was a giant portable monitor with a full operating system. Granted, it weighed six pounds and was so large than Samsung deemed a permanently-installed handle necessary to tote it around. Do you want an excessively large tablet? No? Well if you and more people did, maybe the Samsung Galaxy View would have sold better. Instead, we've watched the tablet steadily drop down from its original price point of $599.99. Today you can get the device on sale for nearly half the cost at $349.99. So, do you remember the Samsung Galaxy View mega-tablet? It came out a few months ago in WiFi-only form, and the price dropped almost immediately because most people don't want a tablet that big. Now, Verizon is selling an LTE-enabled version that's more expensive. This is innovation. You could think of the Galaxy View as an Android-powered all-in-one computer that isn't tethered to a wall. The 18.4-inch tablet is so much larger than the competition that early images showed it being carried around like a briefcase. It launched at $599.99, but after only two weeks of availability, Samsung dropped the price by $100. Now the number is dipping down again. The Galaxy View is a device only Samsung would make. Not because it's a bad idea necessarily, but because it's a really niche product that no other OEMs really have a hope of pulling off. It turns out that maybe even Samsung is going to have trouble selling a huge 18.4-inch tablet with a built-in handle. 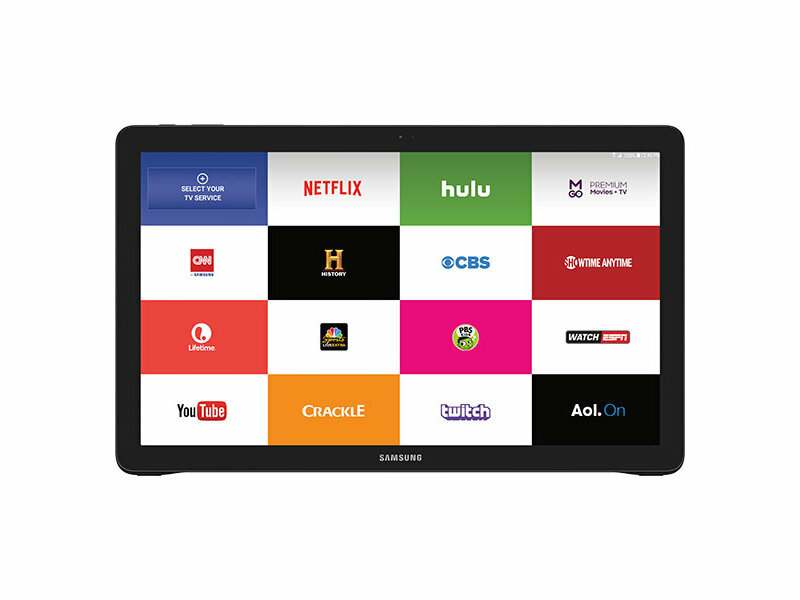 After 2 weeks on virtual shelves, The Galaxy View is getting a $100 price drop. There will be at least two ways you can part with $600 on a single Android tablet this holiday season. You can pick up the upcoming Pixel C along with a keyboard attachment, or you can get the Galaxy View from Samsung. Buyers going the latter route should be aware that this thing takes the mobile computer label very seriously. At 18.4 inches, you've basically grabbed one of those failed Android all-in-one desktops and started carrying it around under your arm. The decision to do so is your prerogative, and AT&T is now giving you the option to buy an LTE-equipped model, just as it promised.